An Oklahoma Bureau of Narcotics And Dangerous Drugs K9 Interdiction Unit. Photo Courtesy of ONBDD. The findings suggest to some critics of the state’s civil asset forfeiture laws that officers are using racial profiling, even subconsciously, in deciding whose vehicles to search or money to seize. Advocacy groups and some lawmakers argue forfeiture practices violate civil rights and allow police to take assets without a conviction or even filing a charge. Law enforcement officials deny targeting people by race. Some said if Hispanics are disproportionately represented in forfeiture cases, it is because Mexican drug cartels often use Hispanics to transport drug profits. The racial disparities also reflect some national trends; the U.S. Sentencing Commission reports that minorities comprise nearly 80 percent of those convicted of drug trafficking in federal courts. But Oklahoma officials said they don’t really know why most of the seizures involved blacks or Hispanics. They argue the power to seize assets that are obviously tied to drug trafficking is critical to fighting the drug war, and a legislative bill that would limit the practice will impede those efforts. Using state court records, Oklahoma Watch examined forfeiture cases in 10 counties, including the six largest ones, involving seizures of $5,000 or more in cash between Jan. 1, 2010 and Aug. 11, 2015. Out of the 401 cases, 261, or 65 percent, involved only Hispanics, blacks, American Indians, Asians or other minorities. The race or ethnicity was listed in public records or identified by surnames. The minority groups with the largest shares were blacks, with 31 percent of cases, and Hispanics, with 29 percent. Whites represented 31 percent. In Oklahoma County, 75 percent of the cases involved only racial or ethnic minorities. Thirty-eight percent, the largest share, involved Hispanics, and 33 percent blacks. In Tulsa County, 35 percent of forfeiture cases were against blacks, and 21 percent against Hispanics. Just over a third involved whites. Oklahoma Watch examined only cases involving $5,000 or more of seized cash because authorities say such large amounts tend to be confiscated in highway drug interdictions. Cases involving smaller amounts are often by-products of police activity related to various local crimes. Brady Henderson, legal director of ACLU-Oklahoma, said the findings reflect what the organization has heard anecdotally about alleged racial profiling during interdiction stops. “That (data) matches what we would expect from our knowledge of who is profiled in these kinds of stops, of who tends to be a victim of asset forfeiture,” Henderson said. “It (race) is a major factor,” along with other aspects, such as having an out-of-state license plate. On the evening of June 9, Robert B. Mack, of Charlotte, N.C., said he was sleeping in the passenger seat of a truck, being driven on Interstate 40, west to Las Vegas, Nevada, by his friend, James Alexander. Both are African-American. As they left Oklahoma City, an interdiction officer working for the Oklahoma Bureau of Narcotics and Dangerous Drugs stopped them near Canadian County. The officer first informed Alexander that he’d been traveling 65 mph, five miles over the speed limit, in a construction zone. He asked Mack to get out of the car and began questioning him about where they were driving. Mark Woodward, spokesman for the Bureau of Narcotics, said in an email, “Agent asked if he could run his state-certified K9 around the outside of the car. Driver said, ‘OK.’ K9 was walked around the vehicle and alerted to the odor of narcotics outside of both the driver and passenger doors.” Woodward said the officer got permission to search the vehicle. Court records indicate the search found “$284,950 of heat sealed bundled currency in a suitcase inside the vehicle along with new airtight mail bags and air freshener.” Officers insisted Mack empty his pockets. “I pulled my money out, in a rubber band,” Mack said. “He (the officer) said, ‘How much money is that?’ I said, ‘About 12,000 dollars.’ He said, ‘That’s a lot of money.’ I said ‘Okay, I’m going to Las Vegas to gamble. I can’t go there with a little bit of money because I won’t last long.’ He said, ‘Well, it’s got a rubber band on it.’ I said, ‘Yeah?’ He said, ‘Well, drug dealers use rubber bands.’” The court filings note the amount was $12,500. The officer confiscated the money from Mack and from Alexander’s suitcase, and took their cellphones. Mack confirmed to Oklahoma Watch that in the 1970s and 1980s he had several convictions for possession of drugs with intent to sell. But he insisted he was not running drugs in June and was actually going to Las Vegas to gamble. He said he did not know about his friend’s money. However, he said, none of that should matter because he wasn’t charged with any crime. 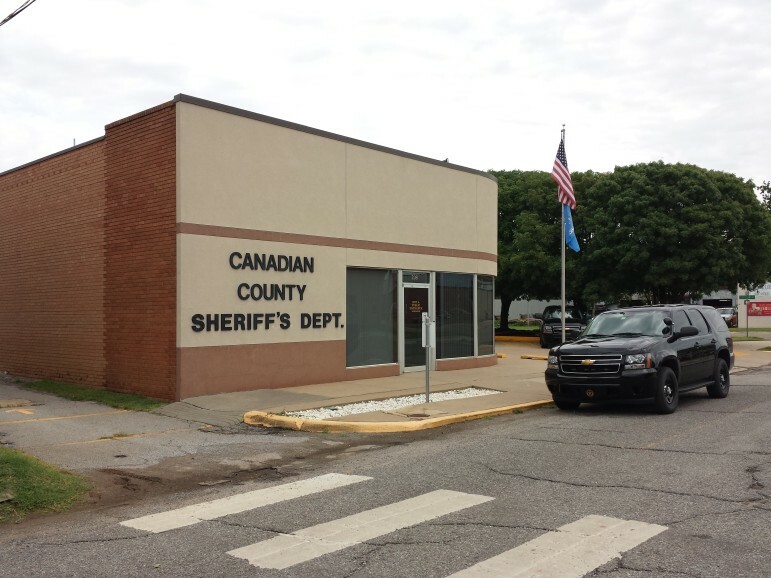 Mack filed a hand-typed complaint in Canadian County District Court on Aug. 19. The Bureau of Narcotics has requested a change of venue to Oklahoma County because it says the stop actually occurred there. Anderson has not filed a claim to get back the $284,950. Under Oklahoma law, racial profiling by law enforcement is illegal and occurs when someone is stopped in a vehicle or is arrested or detained based solely on the person’s race or ethnicity. The state Attorney General’s office reported that in 2014, eight allegations of racial profiling were filed with its civil rights division. No cause was found for six; two are pending. Proving racial profiling is difficult. A number of U.S. cities and states collect extensive data on traffic stops to look for evidence of racial discrimination; the data collection is sometimes triggered by complaints or lawsuits. The data can be inconclusive, however, even when racial disparities are found. One issue is that a valid analysis must compare the characteristics of those involved in stops, arrests or seizures with a baseline population, according to a 2008 report by the University of Cincinnati’s criminal justice division. Seizures on Oklahoma highways often involve people from other states, so comparing the racial profile of those stops with the state population profile may be invalid. Officers from the Canadian County Sheriff’s office and statewide agencies, such as the Bureau of Narcotics and Dangerous Drugs, have seized nearly $1.5 million in cash since 2000. A lot of seizures occur from vehicles traveling Interstate 40. Canadian County Undersheriff Chris West said he doesn’t know why the county’s forfeiture rates are higher for minorities. Oklahoma Watch’s analysis found that 60 percent of large-amount seizures in the county involved minorities; 35 percent were Hispanic. The total seizures included stops made the Bureau of Narcotics officers. West insists that county officers are not targeting minorities. The profiling issue also revolves around what happens after a traffic stop, however. In forfeiture case files, law enforcement officials often cite various factors to explain why they decided to stop a motorist, search a vehicle or confiscate money or property. Court affidavits show that during highway interdictions, officers commonly pull over vehicles, especially ones with out-of-state license plates, for minor traffic violations, such as exceeding the speed limit by five to 10 mph or failing to signal long enough before changing lanes. Police usually question the driver and passengers separately, asking where they are headed and why, while an officer runs a computer check on the driver. Police may issue a warning for the traffic violation. But if there are discrepancies in occupants’ answers or they appear nervous, officers will ask more questions, such as whether they have drugs or large amounts of cash in their vehicle. Officers may ask to search the vehicle or will bring out a drug-detection dog. If the dog “alerts,” police have probable cause to search the vehicle. 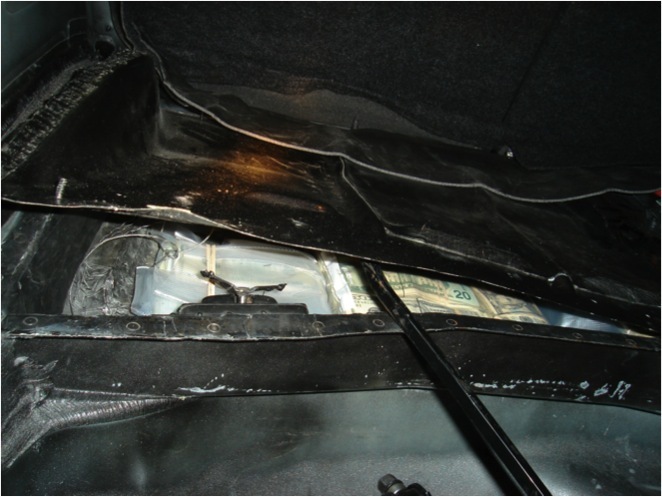 If they find stacks of money and the occupants don’t offer a convincing explanation of why the cash is there or claim no ownership, officers may seize the cash. Defense attorneys say interdiction officers are specifically looking for people hauling drug profits. The attorneys say officers focus on vehicles heading west or south because, as a general rule, drugs are shipped east and north from Mexico to U.S. cities, and drug-sale proceeds come west and south to Mexico. Authorities push to find any reason to search the vehicle, attorneys say. Officers say race plays no part. Attorneys and suspects argue it does. She said police and politicians tend to associate Hispanics and blacks with criminal and drug activities, ignoring the many white people involved in drug crimes. 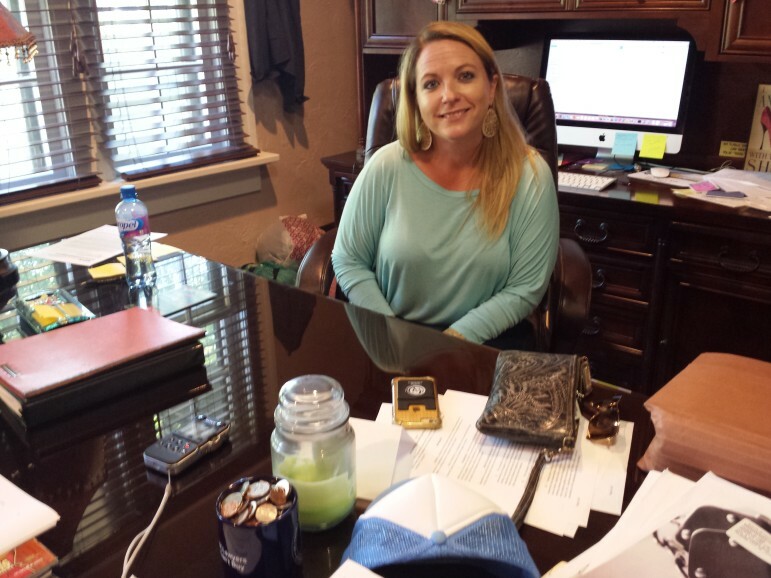 Criminal law attorney Jacquelyn Ford. Blacks and Hispanics with cash are assumed to be up to no good because they don’t fit officers’ racial presumptions, Ford said. Research actually shows Hispanics and blacks are more likely not to have a bank account and to carry larger sums of money to make consumer purchases. “Just because they (authorities) don’t want to acknowledge that they are engaging in racial profiling … Well, the numbers speak for themselves,” Ford said. Instead, agents and officers respond to people’s behavior. “There’s a lot of behavior that law enforcement is trained to look for that can spot deceptive behavior,” he said. State Sen. Kyle Loveless, R-Oklahoma City, who authored legislation that would require a criminal conviction before property or cash can be forfeited, said he is aware of the racial disparities underlying forfeitures but has focused instead on the question of property rights and due process.